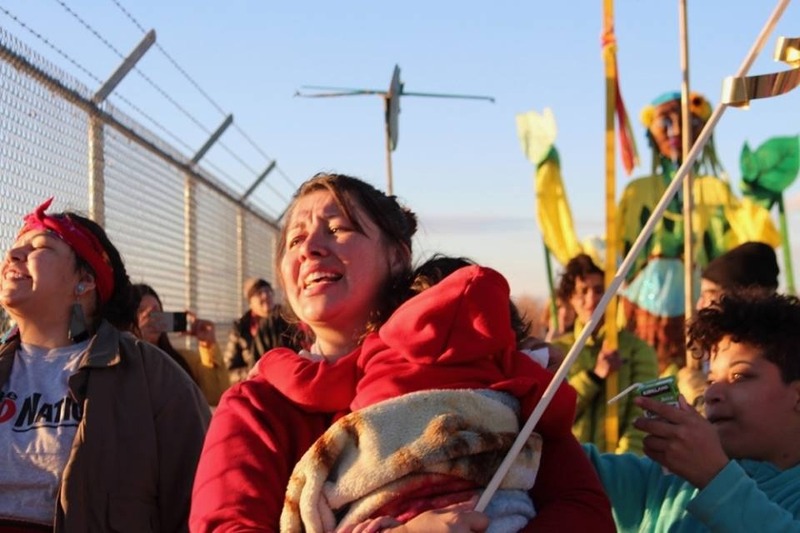 We have been occupying the Tornillo Concentration Camp since Dec. 23. Now we are mobilizing for a Revolutionary Weekend of Resistance in the El Paso region and nationally. This fund will support volunteer occupiers and organizers in travel and most important direct action. We believe in our bones that when seeking asylum and giving humans water are crimes, it is time for us to rise up. We are not a non-profit but rather people of conscience who are committed to ending these injustices. We need your help to support this work. Our art direct actions, like the water blockade which was featured on Democracy Now require supplies and materials. This time we are planning a Valentine's Day Kite Action so if you give just $15 you can sponsor a kite. We need funds to continue our resistance because while Tornillo is ALMOST shut down, busloads of children are still going in and there are still more than 10,000 children in detention, hundreds of other detention centers both in the region and across the country. This brown led coalition is committed to justice work that connects the issues and directly put our creativity and bodies on the line to demand they be addressed. We raised our bare bone goal. Thank You! I upped the amount in hopes we can donate all that is left to DMSC!